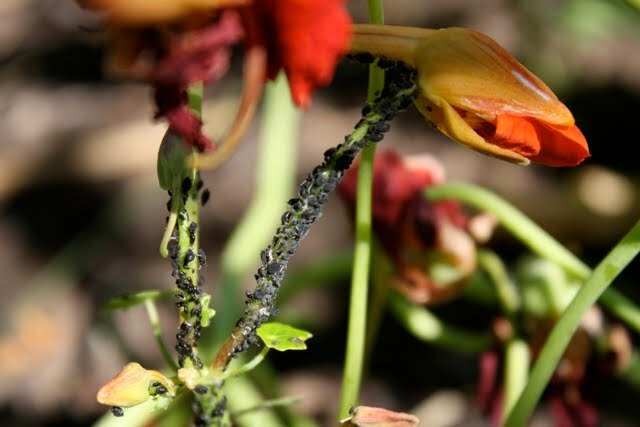 Black aphids love nasturtiums. Love them to death, in my case. I’d never seen a black aphid before I planted nasturtiums last year. They didn’t appear to move beyond my nasturtiums, so I simply observed.